Ecuador acted within its sovereign rights when it decided to withdraw diplomatic asylum from WikiLeaks founder Julian Assange. Quito: Ecuador acted within its sovereign rights when it decided to withdraw diplomatic asylum from WikiLeaks founder Julian Assange, President Lenin Moreno said Thursday. Assange will not be extradited to a country with death penalty, Ecuador president said. Assange was arrested at the Ecuador embassy in London after Quito withdrew his asylum, and police entered the embassy. 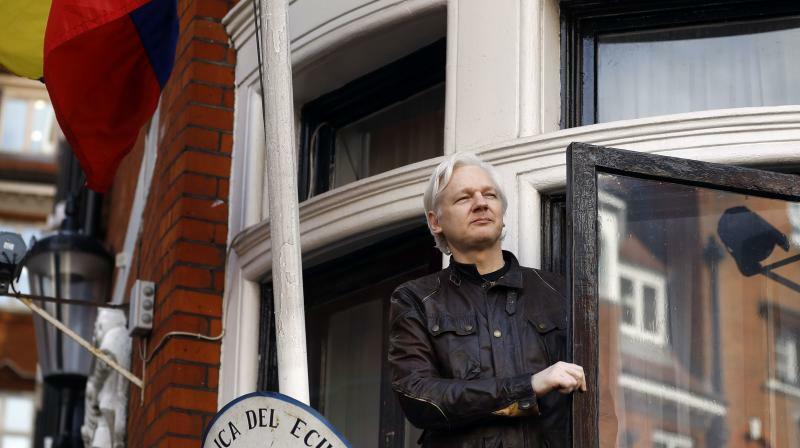 Moreno said: "Ecuador has decided with sovereign rights to withdraw the diplomatic asylum to Julian Assange for repeatedly violating international conventions and the protocol of co-habitation".